Before I start this article I want to give a brief introduction for #TagTeamTuesdays. 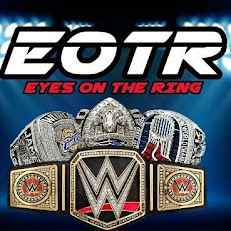 So basically my teammates at Eyes on the Ring will work with me to get you guys an article every week about one of my all time favorite tag teams. I'm going across promotions so it won't be completely WWE guys, but honestly there will be more WWE teams than others. I will try to be open to suggestions as I go along, but I really wanna focus in on the guys I loved. I want to start with one of the best tag teams I've ever had the pleasure of watching. John Morrison and The Miz were opposites but at the same time they were like mirror images of each other. With Morrison you have the pretty boy and athletic God. With Miz you have the loud mouth who can throw a couple stiff strikes. When they first started off in 2007, they were opponents. They were fighting to become the ECW Champion. They both lost out to CM Punk and were just randomly thrown in a tag team together. Their first night together they won the WWE Tag Team Championship from MVP and Matt Hardy. Now honestly I believe WWE had mistakenly discovered a gem. They were using Miz and Morrison to further Hardy and MVP's feud by having them drop the titles and MVP turn his back on Hardy. However, they had just created one of the best tag teams of the modern era. The Dynamic Duo began to run through both the Smackdown and ECW roster's tag teams, getting the best of much inferior teams such as Shannon Moore and Jimmy Wang Yang, Jesse and Festus, Tommy Dreamer and Colin Delaney, and even the beloved Hardys. They dropped the titles to Curt Hawkins and Zack Ryder in a Fatal 4 Way Tag Team Match at The Great American Bash. They didn't have any real noteworthy feuds as a team besides mocking DX and their Dirt Sheet vs Word Up internet feud with Cryme Tyme, which they went on to win. They did later go on to capture the World Tag Team Championship, but their reign did nothing except help the Colóns unify the Tag Team Titles from both brands. -Miz and Morrison were the absolute perfect combination. They worked together seamlessly. Watching them made it feel like they had been working together for years. They were also entertaining as hell when mocking other teams on their Slammy Award winning web show The Dirt Sheet or at ringside distracting opponents for each other as singles stars. They were both self centered and arrogant so it made for nothing but comedy. However the thing I absolutely loved the most is it took two guys wandering aimlessly, searching for direction and launched them on a path to stardom. When they broke up and Miz turned on his best friend, he soon became the United States Champion which took him to the Raw Money In The Bank Briefcase and eventually the WWE Championship. Morrison didn't acchieve that main event level success he was always seeking, but he did become one of the company's most beloved superstars before he left. We also got two great matches at Bragging Rights (2009) in an Intercontinetal Champion vs United States Champion match and a Falls Count Anywhere Match for the WWE Championship in January of 2011. This is definitely one of the better tag teams of the modern era.